This traditional iron coat stand has a shabby chic appeal with its antique white paintwork and strong but slender design. The 4 arms, each with upper and lower rounded hooks for coats, hats and scarves, are arranged around a tall stem finished with a decorative ball top. The metal coat stand has a round, open basket base that provides perfect storage for umbrellas while they sit in the drip tray base, and 4 wide legs with ball feet provide superb stability while completing the ornate look. 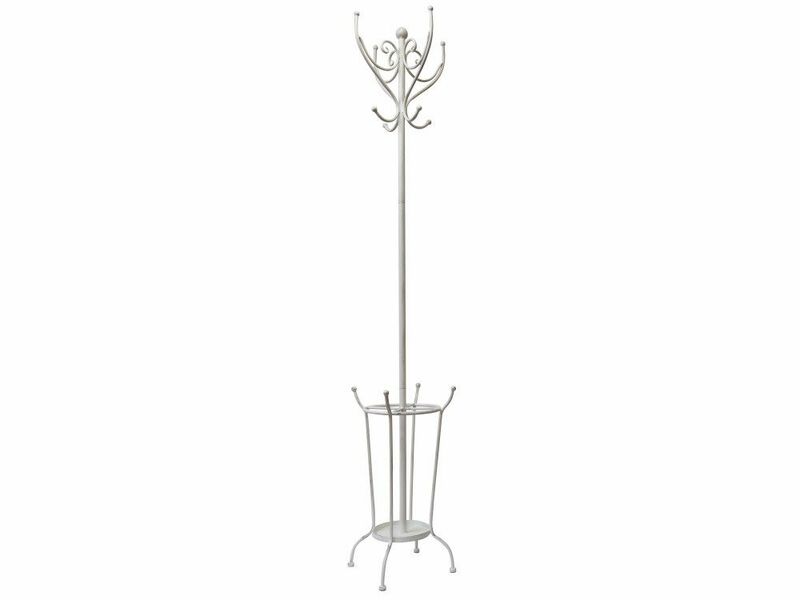 This antique white metal coat stand will add character to your hallway with its vintage style and practical elegance.